My thanks to New York Angels for hosting this Webinar, and to all who participated and their excellent questions. The video and the deck are now online. The early days of the Internet promised an "infinite," "celestial jukebox," with instant access to all the content in the world. But instead of heaven, we are now facing "subscription hell." Yes, we can now enjoy nearly infinite access -- but the price also seems to be approaching the infinite. 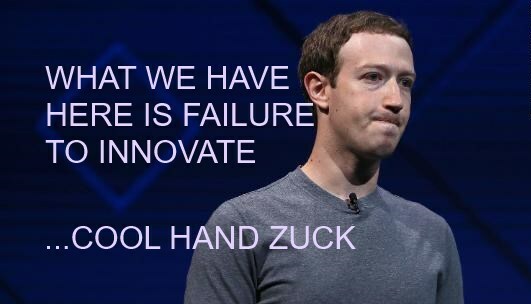 What we have here is not a failure of technology but a failure of business model innovation. The future of subscriptions is to make them risk-free to the consumer. For digital services, the provider risks little except the opportunity to take money in exchange for no value. That will be less and less tolerated. One issue is that subscriptions are all about relationships, and that is more true than ever in our digital world. Our current relationships are dysfunctional because businesses make consumers take on pricing risk for no good reason. Consumers see the risks they face, realize that makes little sense for digital services, dislike that, and dislike businesses for demanding that. The compounding issue is that the inherent abundance of replicating digital services makes consumers even less willing to accept pricing risk. Business know that consumers like simplicity. They also know that consumers hate surprises. So subscriptions are made simple: unlimited, flat-rate, all you can eat (AYCE). But AYCE distorts incentives -- it overcharges light users and undercharges heavy users. It limits risk at the high end, but not at the low end or the middle. Businesses know there are problems here. But there is rarely any discount in normal times (never jam today). 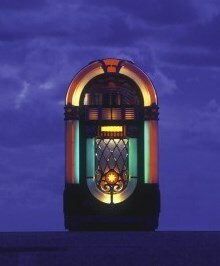 Seeing the problems with AYCE subscriptions, some turn to another unrealized dream of the Internet -- like an old style jukebox, our infinite jukebox should take nickels -- so-called "micropayments." But micropayments just change the pattern of risk: how many nickels will I need? This reduces risk at the low end, but not at the mid end -- and dramatically raises risk at the high end. The problem remains: consumers hate risk! Both classes of current models force significant and unnecessary pricing risk onto the consumer. As outlined here, we can easily do much better, for most kinds of subscriptions to digital content or services -- not only for the consumer, but for the publishers (and platforms that serve them). What is a risk-free subscription? Let's design a risk-free subscription that costs $0 to $7 per month depending on how much you use. Let's design a volume discount that varies -- to work much like micropayments for low usage -- and much like an unlimited subscription at high usage -- with graceful blending in the middle. As your usage for the month grows, your bill grows, but with declining cost per item. Your bill will go from $0 to $7, depending on how many items (and how many of them are premium items). To avoid the risk of bill-shock when you used more than you intended, you never have to pay more than $7. This is a simplistic example, and the price ($7 versus $5) for this added flexibility may actually be reduced over time. If many more people subscribe (because they have lower risk), total revenues will grow and the ARPU (Average Revenue Per User) target can be reduced (to attract still more subs), so the unlimited cap might shift to $5, or even lower. layer on options to more fully support the ongoing investment of publishers and creators. Of course this is not absolutely risk-free, but it is much closer -- and yes, there are some levels of risk to the provider -- both of which are discussed below. But first, a closer look at consumer risk. Will I use enough to justify the monthly price -- now, in the past, and going forward? Am I using the service often enough? Am I happy with my interest level in the selections offered? Am I satisfied with the quality of the items I consume? Do I just skim many items, or quit part way through? Do I get the desired value (or enjoyment) from the items? Which premium channels should I buy access to? How would I know in advance? Did I watch enough items on the premium channels I chose and paid extra for? Was I happy with the premium channel items that I did consume? Did I regret that I could not watch programs on premium channels I did not subscribe to? Is this subscription one that deserves to be in the "portfolio" of sources I pay for unlimited access to (given all the content sources of this kind that I want)? Did I find this month that I wanted other services I did not subscribe to? Can I afford to add still more subscriptions? Is this a subscription I should drop, so I can afford something else? How can I predict any of this reliably? Do I know what will be offered in coming months? Do I know what alternatives will draw my attention elsewhere? Will I be paying for periods where I am on vacation or too busy? The problem is that most digital consumer services offer constantly changing collections of experience goods. Especially for content services, we have only limited ability to predict what value will be offered, what items we will actually choose, and what value we will realize. That is highly unpredictable, except in hindsight. Subscription providers seem to ignore this. They focus on customer acquisition and customer retention (and its converse, churn), but how many of them consider the dynamic value propositions of value/risk to each individual consumer? They optimize for CLV, the Customer Lifetime Value to them, but not for VLV, their Vendor Lifetime Value to the customer. How many businesses really think about how they justify their share of the consumer's wallet? As more and more content of all kinds goes behind flat-rate subscription paywalls, how many subscription are simply unaffordable to many consumers who might gladly pay a profitable amount for occasional access? How many services offer discounts only for new customers, or those threatening to cancel? (This reflects a natural risk discount -- if the price is set in advance, a consumer's willingness to pay must factor in a discount to adjust for their risk of disappointment.) What about those who would be continuing customers at modest but still profitable levels? A few top publications like the New York Times are making money with subscriptions paywalls -- but only about 3% of their readers subscribe! -- and most news publishers do much worse. What a waste to both consumers and businesses! Surely we can do better! The game most subscription providers play now, is one that charges at flat rates that work for their best customers, but that leave more moderate customers on the ragged edge of saying no. And the vast majority of those who might pay for moderate amounts of content do not subscribe at all. Some providers are even more cynical and customer-hostile, hoping you will take a trial and forget you are paying $5 a month, and then making you jump through hoops when you realize you no longer want to. 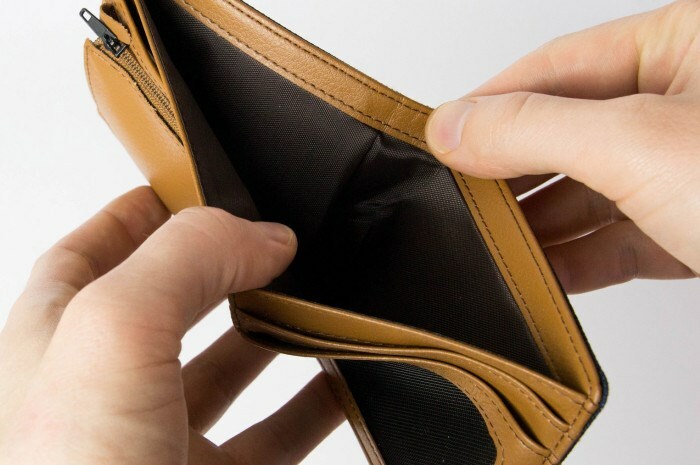 Why do consumers hate micropayments? -- even if they are frictionless? Because consumers hate unpleasant surprises. What if I run up a huge bill? What if I get hooked on a binge? What if my kid goes overboard? Will I be sorry I paid per item instead of getting an unlimited subscription? What if I select items but find them disappointing? What if I like to skim, and so access many items but get little value from each? These problems are inherent in micropayment models that do not have significant volume discounts or other value-adjustment provisions. Pay per view movies have a profitable niche, but viewing more than a few gets very costly. News services like Blendle have been even less successful -- they offer single articles, but at 25-49 cents each, the bill rises quickly. The psychological distress of the ticking meter has been well established. Think of telephone minutes, cellular data megabytes, and the old days of online minutes on AOL. Knowing the billing clock is ticking makes it very hard to enjoy using a service. We are always worried: "what shock will I face when I see the bill?" My work on FairPay highlights the difficulty of setting prices before the experience, why that is an issue of risk, and how "post-pricing" can avoid that problem. The value of experience goods is best known with 20/20 hindsight. Consumers are much happier paying for the value they get after they know what the value actually is. The classic Our Gang "Pay as You Exit" story illustrates the power of that. Back to my opening statement, "the provider risks little except the opportunity to take money in exchange for no value." Providers will, of course be quick to argue that they do face risk, but to what extent? Since the unit costs of access to existing content and most other digital services is negligible, the risks are not the marginal costs of service, but the usual subscription issues that drive CLV -- CAC (customer acquisition cost) and retention/churn -- and the risk of just not having enough subscribers. 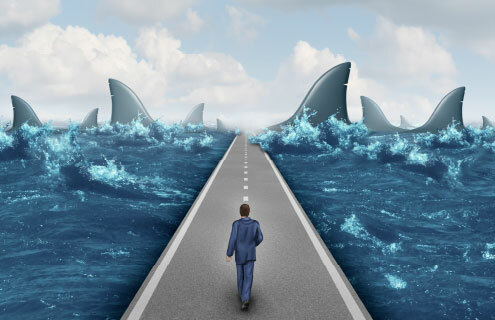 The deeper provider risk issue relates to the predictability of cash-flow -- whether they can expect to fund their content creation and marketing expenditures going forward. Compared to micropayment/PPI models which are already totally dependent on usage, the risk-free model should not worsen predictability -- and might improve repeat activity enough to make predictability much better. Many businesses are hit-based, and deal with it, and all but the smallest publishers can spread that risk. Compared to flat-rate subscriptions, the obvious concern is that the steady stream of monthly payments from each customer might become much less steady. However, the law of large numbers (many customers) will tend to smooth that in aggregate. Also, if the risk-free offering is designed well, there is reason to expect that reduced CAC and churn will dramatically increase the number of subscribers, so that overall revenue and net profit will be much higher, even if it is more variable. Cynical providers be very reluctant to shift from the "get them on autopay and hope they never think about it again" gravy train -- but isn't that really very thin gruel? That is the basic idea, and the core of the case for it. It will take good design, testing, and refinement to prove it out and get it to work well. That can start with limited, low-risk tests. There is reason to expect that to validate some promising sectors and customer segments, so it can grow from there. The rest of this draft explores some ideas on how to build on this strategy, by further reducing consumer risk and adding more value-based metrics of usage -- and by keeping the impact on provider risk manageable. 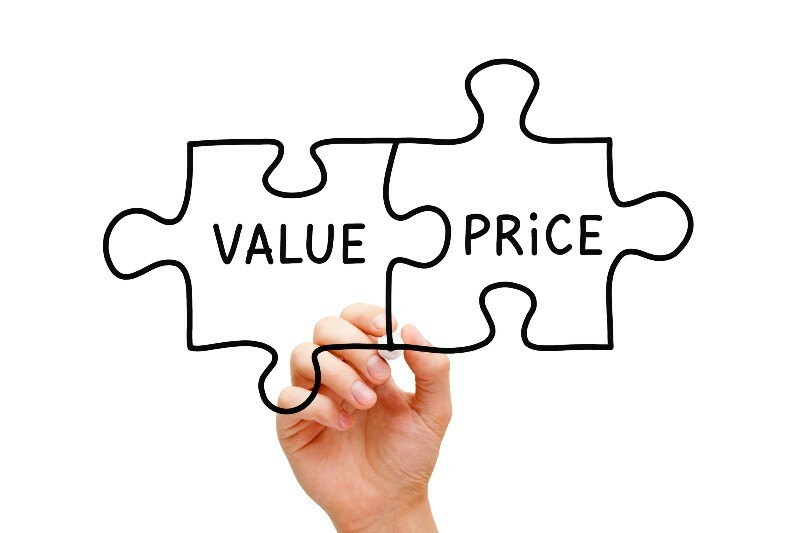 Value-based pricing is increasingly viewed as best-practice in B2B -- we need to be more creative about applying that for B2C. A key feature of the risk-free subscription is that it depends on usage, but adds a volume discount. Designing the discount curve that gets built into the price schedule will be critical to making it behave in a way that can make consumers comfortable. Consumers want simplicity, so the trick may be not to expect consumers to look closely to understand whatever tiered or continuous schedule of rates is used, but to simply give some examples of what to expect at representative usage levels. As long as customers have a sense that the curve is reasonable, and that they can see their detailed accounting for any month if they want to, that may be enough -- as long as the cap on total rate is not too high, and they don't reach it too quickly. (Of course one or more levels of premium pricing might be reflected in this schedule as well. One thing Blendle, the news micropayment aggregator, did well was to offer an unconditional refund button on each article viewed. That is a good start, but too all-or-nothing. It may be much better to let users specify a percentage refund they want, so that they can ask for a partial "satisfaction discount" when they are disappointed, without shying away because they feel a full refund would be unfair if they did get some value. Related, is the skim discount. Instrumentation increasingly makes it practical to determine the time spent consuming items, and what portions are consumed -- why not discount the unit price if the time spent is clearly short, or the item is clearly not finished? This kind of tracking also makes it possible to confirm that subscribers are being honest about claims of dissatisfaction, and limiting refund privileges for those who go overboard. Advertising-based revenue models lead to click-bait, and there are valid concerns that usage-based revenue models can create the same kind of harmful incentives. A simplistic usage metric such as number of items accessed, may well create similarly misaligned incentives for quantity without quality. But extensions like the satisfaction discounts and skim discounts above, will shift this from a simple count, toward a more nuanced value-based metric. Further extensions can add more sophisticated value metrics (and the bonuses of the next section) to make this model more reflective of the true value of the experience to the consumer. Such metrics may factor in time spent with an item (dwell time), how full a portion of it is consumed (aborts and sampling), is it re-accessed, does it lead to further actions (outcomes), is it shared, etc. Of course most users will not want to dig into this complexity, but a simple "relative value/intensity of use" metric for each item could be reduced to an average and included in their statement. That is likely to be accepted as long as it seems reasonable. At the end of the period (along with the statement that reports on usage, and what the "risk-free" price came to), invite a voluntary bonus to sustain the publisher. Remind the subscriber what they accessed and what they apparently got the most value from. Invite them to add a bonus payment, to reward the publisher, to better enable them to continue to supply more like that. Also, invite them to make this a recurring bonus (that can be cancelled at any time), so the publisher has more certainty of continuing revenue. This can work for single publisher subscriptions, and for aggregations. Aggregators can suggest that bonuses be contributed for each publisher the consumer patronizes heavily (as well as a bonus for their own curation services). A similar bonus can be offered to reward and sustain creators/artists -- the authors, musicians, filmmakers, gamemakers, or podcasters that each customer patronizes most heavily. Report the top candidates each month, and encourage a voluntary sustaining-bonus contribution that goes directly to them -- one-time or continuing. This might substantially increase consumer willingness to pay, and might generate significant benefits down the value chain, to enable digital services to create value far more sustainably. This would work as a new kind of hybrid model, adding a component much like recurring crowdfunding (as supported by Patreon and similar recurring variations of Kickstarter and Indiegogo) into the mainstream of subscription businesses. Of course these bonuses need not be entirely voluntary -- there could be some required minimum "sustaining fee" -- or some premium-level sweetener could be added that requires a minimum fee. Notice how this risk-free subscription becomes a way to edge toward FairPay while limiting risk to the publisher. The simple no-risk subscription outlined here uses the 20/20 hindsight of post-pricing to largely eliminate the consumer risk in conventional pre-priced subscriptions (and micropayments). It does that in way that keeps the provider in full control of the price schedule. FairPay goes farther to reduce consumer risk, in a more unconventional way, by adding customer participation in setting the price. Powerful as that promises to be, it is understandable that many providers are hesitant to give up that control. The extension features outlined above gives the customer limited power to effectively adjust the price. They can adjust downward with the guaranty and upward with the bonuses. That moves incrementally toward FairPay, with a basic level of participation in a portion of the pricing. It may be hard for publishers to make the case that they should be able to "take money in exchange for no value" -- but they do have a legitimate case that if they must invest to provide the value that consumers want in the future. A consumer who values the service has some obligation to sustain that investment. Think about where to start with this, test it, learn how to manage it, and move toward a solution that serves more consumers and generates more profit for providers. And, with this kind of win-win model, we can more sensibly sort out a balance between publisher-specific subscriptions and aggregated services (as Apple has given added prominence to) -- to find a harmonious mix that is good for consumers, publishers, and aggregated distribution services across a full spectrum of dynamically varying usage levels. The discussion above was largely framed as an alternative to paid subscriptions (or pay per item), this risk-free model is attractive in comparison to other conventional models as well. It is very relevant to services that are now free, but that want sustaining revenue. As an alternative to adding a conventional paywall, the no-risk value proposition softens the blow. Users can more easily be converted to paying customers if they know they do not risk paying for value they may not get. The hurdle becomes vanishingly low. Try it and keep usage low, until you see how it prices out. Instead of $5/month every month, it may be $0 or $1 or $2. If the discount curve is not right, usage will be driven down, but not to zero. That buys time to tune the discount curve so that most free users can be converted to paying customers. Make it easy to see the current total (and to get item refunds), so reluctant customers need not fear any billing surprise. For mission-oriented providers who want all payments to be voluntary, the sustaining bonus component does the job. Keep the subscription price at zero, but suggest sustaining bonuses to the service provider, and to selected creators of items that are accessed. For example, a public service news offering could know its customers and gently nudge them based on their usage patterns, and any other value data it can apply. Patrons can be encouraged to set up recurring bonus contributions, knowing they can be stopped or adjusted any time they like. They can be nudged to boost their bonus contributions whenever their observed value consumption increases. For member perks, this brings a risk-free way to charge for premium membership tiers. Many services (whether for-profit or non-profit) find it challenging to add paid premium tiers because the value propositions are especially lumpy, making fixed contributions especially high-risk to potential patrons. Risk-free charging solves that problem. Paywalls conflict with ad revenue because they dramatically reduce views. Risk-free subscriptions reduce that effect because they reduce the subscription hurdle. They are more like an pay-ramp or pay-bump than a pay-wall. Paywalls reduce reach, and thus page views. So even if direct ARPU decreases, when ads are factored in, ARPU can be expected to increase. The win-win nature of risk-free subscriptions can be complemented by a similarly win-win model for advertising. That is to apply a "reverse meter" that gives users credit for the attention and data they contribute when viewing ads. My post, Reverse the Biz Model!, explains how this can re-align incentives to make advertising more valuable for users, advertisers, and publishers/platforms. 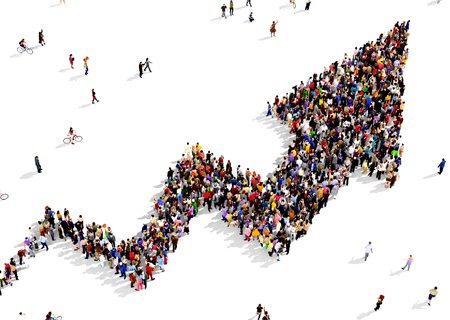 Together, these strategies can have a compounding effect in raising revenue. "Subscription hell" and "subscription fatigue" are especially limiting for long-tail providers. It is hard enough for dominant providers to attract subscribers, but even harder for smaller providers of more niche content. They are more value-challenged in attracting subscribers and more hungry for them. Risk-free models can be especially valuable to them, and an aggregator who supports such models can help them reach beyond the small core of customers who would cross the hurdle of a flat-rate subscription (and not quickly churn away). This builds on my closing paragraph above: "this kind of win-win model...can...find a harmonious mix that is good for consumers, publishers, and aggregated distribution services across a full spectrum of dynamically varying usage levels." *Your feedback is invited. Comment here or email me (FairPay [at] teleshuttle [dot] com). This post was first published 3/26/19 on my blog at FairPayZone.com. Minor revisions and enhancements are included in this version (latest: 4/18/19). A concise introduction is in Techonomy, "Information Wants to be Free; Consumers May Want to Pay"
For a full introduction see the Overview and the sidebar "How FairPay Works" (just to the right, if reading this at FairPayZone.com). There is also Selected items (including links to videos and decks). The Journal of Revenue and Pricing Management, "A Novel Architecture to Monetize Digital Offerings" provides a scholarly but readable overview. 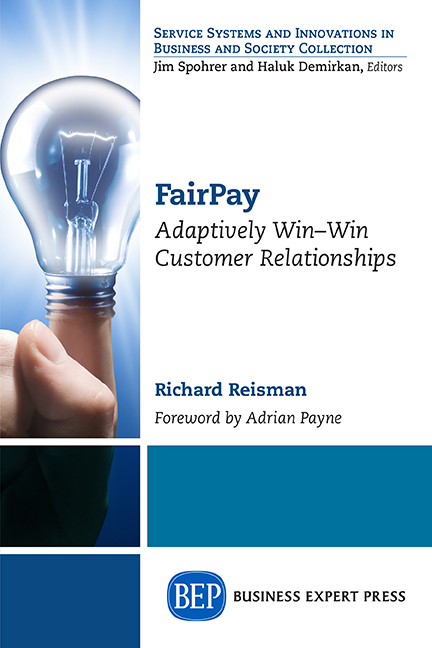 Or, read my highly praised book: FairPay: Adaptively Win-Win Customer Relationships. Thursday, 3/28/19, 4-5:30 pm (EDT). This presents a broad rethinking of a full range of current and future revenue models in light of insights drawn from my work on FairPay, including discussions with many businesses representing a full range of content/services, sizes, and stages, as well as leading-edge research in marketing and behavioral economics. It is relevant to investors, startups, and growing businesses - across for-profits, non-profits, and platforms/aggregators. Techonomy has just published my latest article on the insidious problems with the ad-based business model for dominant Internet platforms (notably Facebook and Google) -- with a surprisingly simple, proven, market-driven, regulatory method for fixing that. This compelling idea has been around for a long time because it resonates with many -- but it has been criticized as an oversimplification. A Slate article by Will Oremus, "Are You Really the Product?," provides an excellent critique. Here, I explain why this idea really is important -- as background to my previous posts on reversing the ad-based business model, and to a forthcoming article. The concerns Oremus addresses have validity and are important, but as a basis for management and regulation of dominant platforms (most notably Facebook and Google), this is a very useful simplification. Regulations of necessity are simplifications, but done properly, they simplify in ways that are useful and have limited downside. It is true that being a paying customer does not assure that a businesses will be motivated to attend to the value you receive. Many fail badly in that regard, but the customer's power of the purse is a strong motivator, nonetheless. How much worse would these businesses be if there was no revenue driver? Further, while we see many examples of businesses that are customer-hostile, our connected world is making it harder and harder for that to continue. We are moving to what I call the Relationship Economy, one that values Customer Lifetime Value and is becoming increasingly "customer-value-first," driven by "loyalty loops." Value-based pricing is increasingly recognized as best-practice in B2B, and it is bound to become more dominant in B2C as well. As Oremus points out, this criticism of the ad-model goes back to the TV era (not just to 1972, but to 1959, when Walter Lippman said of "free" TV, it is ultimately "the creature, the servant and indeed the prostitute of merchandising"). But, because the Internet is so personalized, it has taken a new and more ominous dimension. 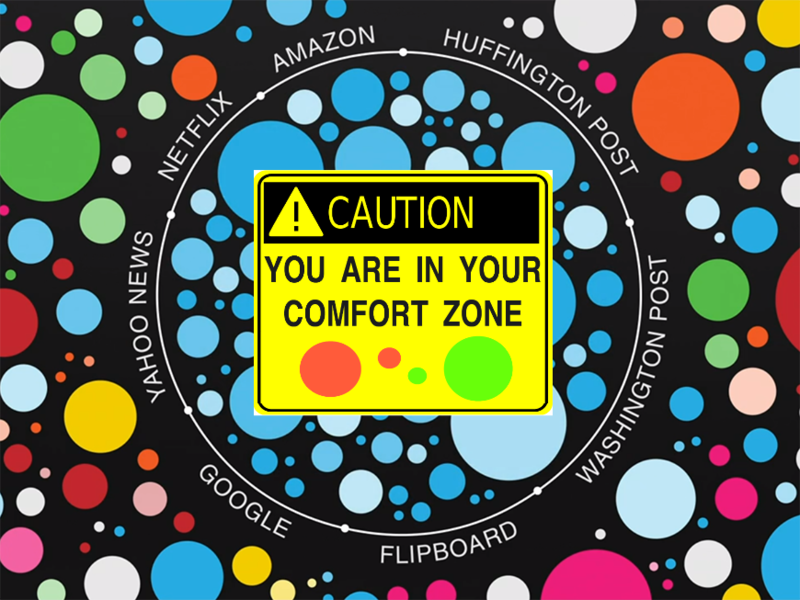 Personalized media exert precision power over our attention and data. Mass media "mind-control" was superficial -- easily recognized and counteracted. Manipulation and surveillance by precision media is insidiously more dangerous. The "reverse meter" addresses this directly -- putting a value on user attention and data enables the user to judge and accept or reject the value proposition. That gives businesses a much stronger incentive to optimize data and attention for user value, and to be transparent about how that is done. We are no longer "powerless pawns," and gain real leverage -- whether enabled voluntarily by the platforms or by mandated by the government. This will not solve everything. Other action is needed -- by users, and probably by regulators. As Oremus says, we "have the power to demand change." A forced shift to user revenue is not the only way to demand change. But it is the simplest and fastest way to drive a fundamental shift toward better directions. Other actions by users and regulators can then complement that. But there is reason to doubt they can be effective without it. 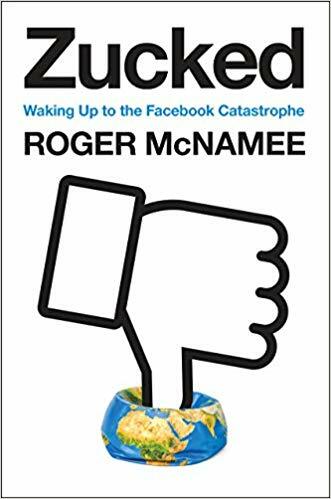 Zucked: Waking Up to the Facebook Catastrophe is an authoritative and frightening call to arms -- but I was disappointed that author Roger McNamee did not address some of the suggestions for remedies that I shared with him last June (posted as An Open Letter to Influencers Concerned About Facebook and Other Platforms). Here are brief comments on this excellent book, and highlights of what I would add. Many recognize the problem with the advertising-based business model, but few seem to be serious about finding creative ways to solve it. It is not yet proven that my suggestions will work quite as I envision, but the deeper need is to get people thinking about finding and testing more win-win solutions. His book makes a powerful case for why this is urgently needed. McNamee offers the perspective of a powerful Facebook and industry insider. A prominent tech VC, he was an early investor and mentor to Zuckerberg -- the advisor who suggested that he not sell to Yahoo, and who introduced him to Sandberg. He was alarmed in early-mid 2016 by early evidence of manipulation affecting the UK and US elections, but found that Zuckerberg and Sandberg were unwilling to recognize and act on his concerns. As he became more concerned, he joined with others to raise awareness of this issue and work to bring about needed change. It's the business model, stupid! Without a change in incentives, we should expect the platforms to introduce new technologies that enhance their already-pervasive surveillance capabilities...the financial incentives of advertising business models guarantee that persuasion will always be the default goal of every design." The second path is government intervention. Normally I would approach regulation with extreme reluctance, but the ongoing damage to democracy, public health, privacy, and competition justifies extraordinary measures. The first step would be to address the design and bushiness model failures that make internet platforms vulnerable to exploitation. ...Facebook and Google have failed at self-regulation. This is where I have novel suggestions -- outlined on my FairPayZone blog, and communicated to McNamee last June -- that have not gotten wide attention, and are ignored in Zucked. These are at two levels. The auto emissions regulatory strategy. This is a simple, proven regulatory approach for forcing Facebook (and similar platforms) to shift from advertising-based revenue to user-based revenue. That would fundamentally shift incentives from user manipulation to user value. If Facebook or other consumer platforms fail to move to do that voluntarily, this simple regulatory strategy could force that -- in a market-driven way. The government could simply mandate that X% of their revenue must come from their users -- with a timetable for gradually increasing X. This is how auto emissions mandates work -- don't mandate how to fix things, just mandate a measurable result, and let the business figure out how best to achieve that. Since reverse-metered ads (with a specific credit against user fees) would count as a form of reader revenue, that would provide an immediate incentive for Facebook to provide such compensation -- and to begin developing other forms of user revenue. This strategy is outlined in Privacy AND Innovation ...NOT Oligopoly -- A Market Solution to a Market Problem. thrown up his hands at finding a better way: "I don’t think the ad model is going to go away, because I think fundamentally, it’s important to have a service like this that everyone in the world can use, and the only way to do that is to have it be very cheap or free." Who Should Pay the Piper for Facebook? 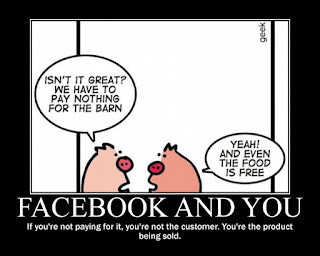 (& the rest), explains this new business model architecture -- with a focus on how it can be applied to let Facebook be "cheap or free" for those who get limited value and have limited ability to pay, but still be paid for, at fair levels for those who get more value and who are willing and able to pay for that. This architecture, called FairPay, has gained recognition for operationalizing a solution that businesses can begin to apply now. A reverse meter for ads and data. 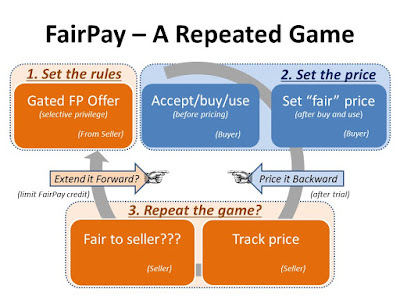 This FairPay architecture still allows for advertising to continue to defray the cost of service, but on a more selective, opt-in basis -- by applying a "reverse meter" that credits the value of user attention and data against each user's service fees -- at agreed upon terms and rates. That shifts the game from the advertiser being the customer of the platform, to to the advertiser being the customer of the user (facilitated by the platform). In that way advertising is carried only if done in a manner that is acceptable to the user. That aligns the incentives of the user, the advertiser, and the platform. Others have proposed similar directions, but I take it farther, in ways that Facebook could act on now. A consumer-value-first model for user-revenue. Reverse metering is a good starting place for re-aligning incentives, but Facebook can go much deeper, to transform how its business operates.The simplest introduction to the transformative twist of the FairPay strategy is in my Techonomy article, Information Wants to be Free; Consumers May Want to Pay (It has also been outlined in in Harvard Business Review, and more recently in the Journal of Revenue and Pricing Management.) The details will depend on context, and will need testing to fully develop and refine over time, but the principles are clear and well supported. This involves ways to mass-customize pricing of Facebook, to be "cheap or free" where appropriate, and to set customized fair prices for each user who obtain real value and can be enticed to pay for that. That is adaptive to individual usage and value-- and eliminates the risk of having to pay when the value actually obtained did not warrant that. That aligns incentives for transparency, trust, and co-creation of real value for each user. Behavioral economics has shown that people are willing to pay and will do so even voluntarily -- when they see good reason to help sustain the creation of value that they actually want and receive. We just need business models that understand and build on that. Bottom line. Whatever the details, unless the Facebook shifts direction on its own to aggressively move in the direction of user payments -- which now seems unlikely -- regulatory pressure will be needed to force that (just as with auto emissions). A user revolt might force similar changes as well, but the problem is far too urgent to wait and see. Shifting to a user-revenue-based business model will change incentives and drive significant progress to remedy many of the problems that McNamee and many others have raised. McNamee provides a wide-ranging overview of many of those problems and most of the initiatives that promise to help resolve them, but there, too, I offer suggestions that have not gained attention. Most fundamental is the power of social media platforms to shape collective intelligence. Many have come to see that, while technology has great power to augment human intelligence, applied badly, it can have the opposite effect of making us more stupid. We need to steer hard for a more positive direction, now that we see how dangerous it is to take good results for granted, and how easily things can go bad. McNamee observes that "We...need to address these problems the old fashioned way, by talking to one another and finding common ground." Effective social media design can help us do that. 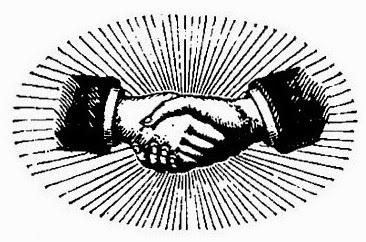 The core issue is one of trust and authority -- it is hard to get consistent agreement in any broad population on who should be trusted or taken as an authority, no matter what their established credentials or reputation. Who decides what is fake news? What I suggested is that this is the same problem that has been made manageable by getting smarter about the wisdom of crowds -- much as Google's PageRank algorithm beat out Yahoo and AltaVista at making search engines effective at finding content that is relevant and useful. As explained further in that post, the essence of the method is to "rate the raters" -- and to weight those ratings accordingly. Working at Web scale, no rater's authority can be relied on without drawing on the judgement of the crowd. Furthermore, simple equal voting does not fully reflect the wisdom of the crowd -- there is deeper wisdom about those votes to be drawn from the crowd. Some of the crowd are more equal than others. Deciding who is more equal, and whose vote should be weighted more heavily can be determined by how people rate the raters -- and how those raters are rated -- and so on. Those ratings are not universal, but depend on the context: the domain and the community -- and the current intent or task of the user. Each of us wants to see what is most relevant, useful, appealing, or eye-opening -- for us -- and perhaps with different balances at different times. Computer intelligence can distill those recursive, context-dependent ratings, to augment human wisdom. A major complicating issue is that of biased assimilation. 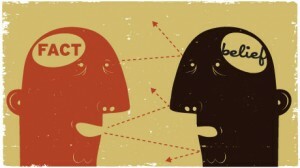 The perverse truth seems to be that "balanced information may actually inflame extreme views." This is all too clear in the mirror worlds of pro-Trump and anti-Trump factions and their media favorites like Fox, CNN, and MSNBC. Each side thinks the other is unhinged or even evil, and layers a vicious cycle of distrust around anything they say. It seems one of the few promising counters to this vicious cycle is what Cass Sunstein referred to as surprising validators: people one usually gives credence to, but who suggest one's view on a particular issue might be wrong. An example of a surprising validator was the "Confession of an Anti-GMO Activist." This item is readily identifiable as a "turncoat" opinion that might be influential for many, but smart algorithms can find similar items that are more subtle, and tied to less prominent people who may be known and respected by a particular user. There is an opportunity for electronic media services to exploit this insight that "what matters most may be not what is said, but who, exactly, is saying it." If and when Facebook and other platforms really care about delivering value to their users (and our larger society), they will develop this kind of ability to augment the wisdom of the crowd. (Similar large-scale ranking technology is already proven in uses for advertising and Google search.) Our enlightened, democratic civilization will disintegrate or thrive, depending on whether they do that. The facts of the facts. One important principle which I think McNamee misunderstands (as do many), is his critique that "To Facebook, facts are not absolute; they are a choice to be left initially to users and their friends but then magnified by algorithms to promote engagement." Yes, the problem is that the drive for engagement distorts our drive for the facts -- but the problem is not that "To Facebook, facts are not absolute." As I explain in The Tao of Fake News, facts are not absolute --we cannot rely on expert authorities to define absolute truth -- human knowledge emerges from an adaptive process of collective truth-seeking by successive approximation and the application of collective wisdom. It is always contingent on that, not absolute. That is how scholarship and science and democratic government work, that is what the psychology of cognition and knowledge demonstrates, and that is what effective social media can help all of us do better. McNamee provides a good survey of many of the problems of monopoly (or oligopoly) power in the platforms, and some of the regulatory and antitrust remedies that are needed to restore the transparency, openness, and flexibility and market-driven incentives needed for healthy innovation. These include user ownership of their data and metadata, portability of the users' social graphs to promote competition, and audits and transparency of algorithms. 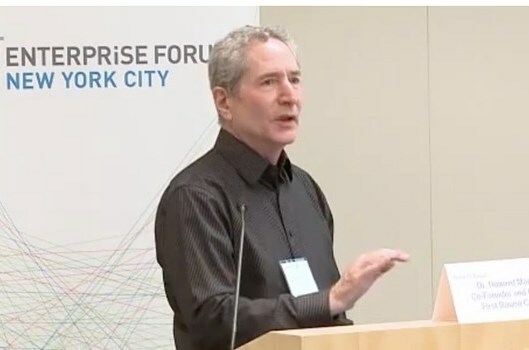 I have addressed similar issues, and go beyond McNamee's suggestions to emphasize the need for openness and interoperability of competing and complementary services -- see Architecting Our Platforms to Better Serve Us -- Augmenting and Modularizing the Algorithm. This draws on my early career experience watching antitrust regulatory actions relating to AT&T (in the Bell System days), IBM (in the mainframe era), and Microsoft (in the early Internet browser wars). There are many prominent voices shouting wake up calls. See the partial list at the bottom of An Open Letter to Influencers Concerned About Facebook and Other Platforms, and MacNamee's Bibliographic Essay at the end of Zucked (excellent, except for the omission that I address here). All are pointing in much the same direction. We all need to do what we can to focus the powers that be -- and the general population -- to understand and address this problem. The time to turn this rudderless ship around is dangerously short, and effective action to set a better direction and steer for it has barely begun. We have already sailed blithely into killer icebergs, and many more are ahead. This is cross-posted from both of my blogs, FairPayZone.com and Reisman on User-Centered Media, which delve further into these issues. 2019 New Year's Resolution: Let's Work Together to Invent a Better 2020! My forecast for 2019: The best way to predict the future is to invent it -- let's work together on inventing a better 2020! We face two over-arching and related challenges, one in the world of technology, and one in the larger world of enlightened democratic society. At the broadest level, 2019 promises to be perhaps the worst and most traumatic year in recent American history. 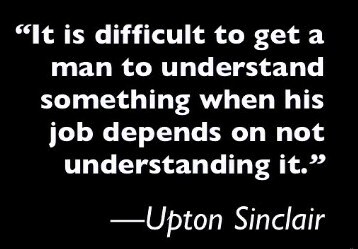 My point is not one of politics or policy (I bite my tongue), but of our basic processes of democratic society -- how we all work together to understand the world and make decisions. We now see all to well how much harm technology has done to that -- not by itself, but as an amplifier of the worst in us. Within that world of technology, many have come to realize that we have taken a wrong turn in building vast and deeply influential infrastructures that are sustained by advertising. That perverts the profit incentive from creating value for we the people, to exploiting us to profit advertisers. That drive for engagement and targeting inherently conflicts with the creation of real value for users and society. We seem to not even be looking very hard for any solution beyond band-aids that barely alter 1) the perverse incentives of advertising, and 2) the failing zero-sum economics of artificial scarcity. We seem to be at a loss for how to solve these problems at either level. I suggest that is simply a failure of will, imagination, and experimentation that we can all help rectify. Many prominent thought leaders have said much the same. I list some of them, and offer creative suggestions in An Open Letter to Influencers Concerned About Facebook and Other Platforms. I hope you will read it, as well as the related material it links to. But whether or not I am right about the solutions, we all have to make it a priority try to find, test, and refine the best solutions we can to confront these critical problems. Still, few in technology, business, or government have turned from business as usual to rise to the urgent challenges we now face -- and even those who alert us to these problems seem to have few concrete strategies for effective action. Please consider the urgency and importance of these issues at both levels, see if my suggestions or those of others resonate -- and add your voice in those directions -- or work to suggest better directions. If we do not begin to make real progress in 2019, we may face a very dark 2020 and beyond. If we do begin to turn this ship around, we can recharge the great promise of technology to augment our intellect and our society, and to create a new economics of abundance. This is cross posted from both of my blogs, FairPayZone.com and Reisman on User-Centered Media, which delve further into these issues. Social media will not manage disinformation effectively until they no longer profit from it. We are trying to stop the tide of disinformation, when all we can do is limit its spread and impact. Tides cannot be stopped, but they can be managed -- if the managers are motivated to do so. Social media are optimized for engagement, so they can sell ads. Therefore, social media profit from enabling disinformation to spread; they lose money by limiting harmful engagement. The only systemic solution is to change their incentives: their salary (and stock value) must depend on revenue from users, not advertisers. An Open Letter to Influencers Concerned About Facebook and Other Platforms. It is time to reverse the fundamental premise. Many now see that the long-popular model of free digital content (or other services) -- in exchange for advertising and personal data -- has become a Faustian bargain with the devil. It is bad for both users and their service providers. We are losing our souls to empty but addictive engagement -- and to destructive disinformation. Journalism is failing, music is reeling, video is struggling to find viable subscription models, and Facebook is poisoning our democracy. The public barely took note when newspapers could no longer live off the fat of classified ads. Then "digital pennies" replaced "analog dollars" more widely, and, still, few cared. But now the devil has come for all of us. 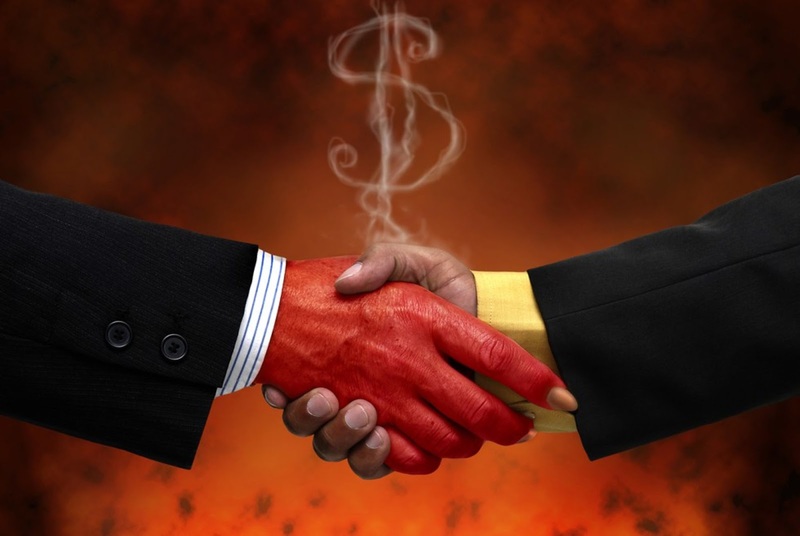 The increasing price of this deal with the devil has reached crisis levels. The recent PBS Frontline documentary, The Facebook Dilemma, reports in depth on how Facebook sold its soul and still seems to only barely realize it. Or, as the NY Times reports, maybe they do. Why should they care, when they are making billions? The press and government may investigate, but what can anyone do? Governance, regulation, or breakup do not get to the root of the problem. What we have here is a business model problem. What we need is a business model solution. That is not as hard as it seems. This problem goes far beyond Facebook. Most ad-supported business models suffer from mis-aligned incentives. This post was first written with emphasis on Facebook and other social media, but has been lightly edited [4/16/19] to make it more clear that it applies broadly. The next two sections focus on social media, but the rest is applicable to making any ad-supported service more win-win for customers, advertisers, and publishers/platforms. In "A Blueprint For A Better Digital Society" (in HBR), Jaron Lanier and E. Glen Weyl provide a thorough analysis of why these ad-supported services have proven so harmful -- and offer their blueprint for a much better model. Here, I draw on that as background, to outline a simpler and more immediate path -- one that enables individual businesses act on their own to credit consumers for the value of their data. Starting there would shift incentives to better-enable the wider market in data that they propose. ...the dominant model of targeted advertising derived from data surveillance and used to fund free-to-the-public services like social media and search is increasingly viewed as unsustainable and undesirable. Today, internet giants finance contact between people by charging third parties who wish to influence those who are connecting. The result is an internet — and, indeed, a society — built on injected manipulation instead of consensual discourse. A system optimized for influencing unwitting people has flooded the digital world with perverse incentives that lead to violations of privacy, manipulated elections, personal anxiety, and social strife. As we wait helplessly for more elections to be compromised, for more nasty social divisions to be enflamed, for more invasive data surveillance, and for more workers to become insecure, the widespread assumption that no other models are possible leads to a state of despair. But there is an alternative: an emerging class of business models in which internet users are also the customers and the sellers. Data creators directly trade on the value of their data in an information-centric future economy. Direct buying and selling of information-based value between primary parties could replace the selling of surveillance and persuasion to third parties. Platforms would not shrivel in this economy; rather, they would thrive and grow dramatically, although their profit margins would likely fall as more value was returned to data creators. Most important, a market for data would restore dignity to data creators, who would become central to a dignified information economy. These models have been discussed widely for years. Here, we describe a future based on them by exploring the business and societal structures that will be required to bring them to life. In the process, we will advocate for a more coherent marketplace. Without one, no corrective measure stands a chance. ...A coherent marketplace is a true market economy coupled with a diverse, open society online. People will be paid for their data and will pay for services that require data from others. Individuals’ attention will be guided by their self-defined interests rather than by manipulative platforms beholden to advertisers or other third parties. Platforms will receive higher-quality data with which to train their machine learning systems and thus will be able to earn greater revenue selling higher-quality services to businesses and individuals to boost their productivity. The quality of services will be judged and valued by users in a marketplace instead of by third parties who wish to influence users. An open market will become more aligned with an open society when the customer and the user are the same person. The foremost challenge in implementing data dignity is the yawning gap between big tech platforms and the individuals they harvest data from. If we asked big tech alone to make the change, it would fail: Too many conflicts of interest exist, and the inevitable concentration of power these platforms create is inimical to competitive markets and an open society. For data dignity to work, we need an additional layer of organizations of intermediate size to bridge the gap. We call these organizations “mediators of individual data,” or MIDs. A MID is a group of volunteers with its own rules that represents its members in a wide range of ways. It will negotiate data royalties or wages, to bring the power of collective bargaining to the people who are the sources of valuable data. It will also promote standards and build a brand based on the unique quality and identity of the data producers they represent. MIDs will often perform routine accounting, legal, and payment duties but might also engage in training and coaching. They will help focus the scarce attention of their members in the interest of those members rather than for an ulterior motive, such as targeted advertising. This vision of MIDs is a worthy one, and one I hope will succeed. But I suggest a path that traverses its way up this hill in a more indirect path might be more feasible. That still faces challenges, but they may be far more easily overcome. Lanier and Weyl point out that MIDs are not a new concept, referring to pre-Internet examples. But I find a more concerning case in point to be the still-thought-provoking proposal for "infomediaries" in the 1999 book, Net Worth, by John Hagel and Marc Singer of McKinsey. That drew attention when published, but got little traction in practice. That history seems largely forgotten by those now proposing similar ideas. Their infomediaries seem to be much the same as Lanier and Weyl's MIDs. I have been wondering for years why this vision did not come to be. I have seen no clear answer, other than that no one found a path to achieve the critical mass needed to establish such a multi-sided market for consumer data. MIDs face the same problem of critical mass. Instead, the path taken was that the ad model proved wildly successful for Facebook and Google. That gave them the critical mass of users, and huge financial clout. That now makes it even more challenging to introduce infomediaries or MIDs -- whether by convincing the dominant platforms to enable that, or by competing with them. 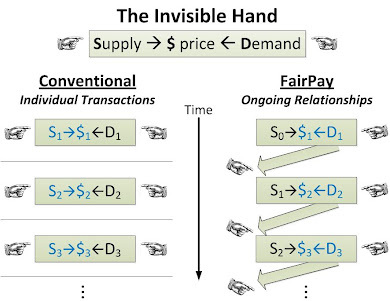 FairPay suggests an alternative path toward a market economy for information -- one that may not go as far as infomediaries or MIDs, but which can be pursued unilaterally by individual businesses, in direct cooperation with their customers. That could set the stage for more customer-driven solutions -- for any ad-supported business. Data and attention go from the consumer to the businesses that want to use it, and in exchange, funds go back to the consumer. That reverses the normal "metering" of service to the consumer, in exchange for funds to the business. But we don't need infomediaries or MIDs to do that. A more basic kind of reverse meter can be applied by any paid Web service business to compensate users for their data and attention. That reverse meter offers direct benefit to those businesses and their customers. Now the deal is obscured, arbitrary, and one-sided -- "We give you free service and you surrender whatever amount of your attention and data that we extract. We hope you will just accept that." With a meter, the deal is quantified -- "For X units of attention or data we give you $Y of credit against the fee for our service. The meter will quantify that." A number of services (such as Hulu, Spotify, USA Today) already offer a simple alternative to advertiser-supported "free" service: instead, opt for ad-free service with a paid subscription. That puts a specific value on advertising, and gives consumers a basic level of choice over whether to accept that value proposition. Some ad-blockers offer similar options to control ads, and some publishers are participating. One clever new service, Paytime, offers a kind of reverse metering that entirely decouples the advertising from the primary service (a bit like a very simplified infomediary or MID). Consumers with more time than money can watch video ads to get credit, to use to subscribe to Netflix, Spotify, or other services. Instead of interrupting the primary service experience, the consumer can watch the ads whenever they wish, and has some choice as to which ads they watch. Equivalent functionality could also be integrated directly into an individual service business. Consumers are annoyed by intrusive and annoying ads and abuse of their personal data. Advertisers are frustrated that they cannot get their message through, even at high cost. Publishers/service providers are caught in the middle, as ad rates fall, customers get angry and install ad blockers, and their business suffers on many fronts. For consumers, what is the value (or cost) of the ad to the user? Is the message relevant, timely, interesting, entertaining, useful? Or is it a just annoying. Is the delivery of that message intrusive? Can I enhance that by having some say in what messages I get, and when I get them? For advertisers, what is the value of a more balanced relationship with the consumer? Am I getting my message to a good prospect, in a way that builds my brand? Can I build a relationship with the consumer, so that they help me craft just the right message? Can I get a direct response to my ad (including simple feedback, even if there is no purchase). Or am I turning off the people I want to reach, and wasting money on the wrong ones? For publisher/service providers, how can I maximize that shared value so that I can earn a share for myself, and make my service more popular (to get more value share from more consumers)? Do my customers feel that the ads add value or subtract it? Remember that advertising can be valuable when relevant and useful, or entertaining. Don't you get value from ads for products you want, or may want -- or those that make you feel good? There are many examples of valuable ads: just look at magazines for fashion, style, travel, sports, lifestyle, or hobbies. Some buy them mainly for the ads. Why do people like to watch and talk about Super Bowl ads? (some watch just for the ads). With simple reverse metering, service providers can provide a basic marketplace where their customers can interact with their advertisers to maximize value all around. Economics and business models are all about aligning incentives. Metering data and attention enables everyone to manage incentives so they can all maximize value. That is the sustainable path to long term profit. Quietly addicting users to engagement, by spreading disinformation and sensationalized content, provides no real value -- it destroys it. Sooner or later, that model will self-destruct. If we can bring this kind of flexibility and economic efficiency to the reverse meter, why not the primary meter? To fully align incentives, we must customize the value proposition to optimize all forms of value for each party. Why should all consumers pay the same? Why should we all get the same level of advertising? Why should we have few choices about how our data is used, and get no compensation, whatever the level of data usage? 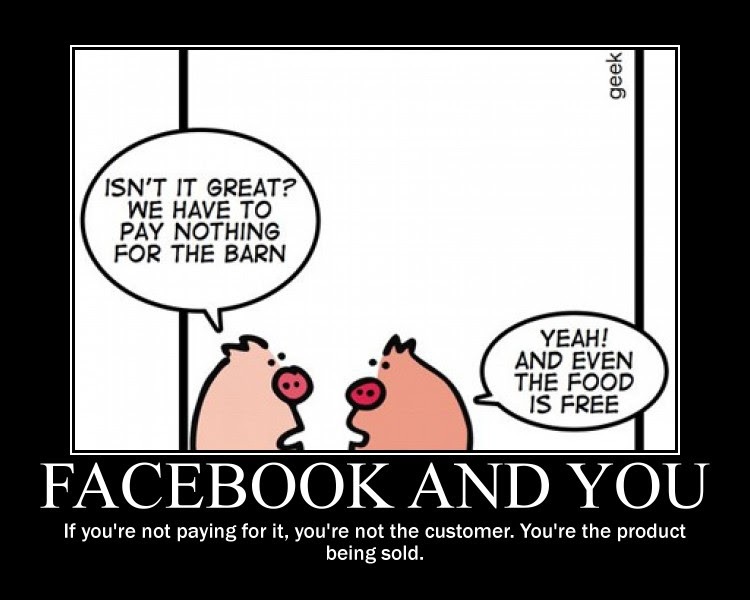 …having [Facebook] be free and have a business model that is ad-supported ends up being really important and aligned…Now, over time, might there be ways for people who can afford it to pay a different way? That’s certainly something we’ve thought about …But I don’t think the ad model is going to go away, because I think fundamentally, it’s important to have a service like this that everyone in the world can use, and the only way to do that is to have it be very cheap or free. But the with the reverse meter, an array of variable options can be provided. A full ad load for free access, a full price for ad-free service, and a range of options in between. FairPay expands on this idea of tracking value and giving consumers more choice about the value propositions they are offered. It provides an architecture for metering and setting a price on value in the individual context of each customer. An example that explores use of the reverse meter is Patron-izing Journalism -- Beyond Paywalls, Meters, and Membership. Self-regulation, government mandate, or new market structures? Introducing infomediaries/MIDs has the problem of critical mass that is inherent in any two-sided marketplace. Simple, company-specific reverse meters do not require a critical mass, only enough scale to justify building the reverse metering system. Very simple forms are already finding success in practice (as noted above). FairPay will take somewhat more effort to develop, but still can be within reach for many businesses (especially if supported by SaaS providers). That can begin to establish a more level market for data and attention. If the marketplace is level for all participants, including consumers, "data dignity" will be a natural by-product. Facebook (and similar consumer platforms) could voluntarily begin to experiment with reverse metering now, starting with narrow trials, then learning, and expanding. Premium services could be offered to introduce the idea of consumer fees (offset by the reverse meter). As consumer revenue increased there would be less need for ad revenue. They could start simply, ins specific segments, and then expand and add the richer functions of FairPay. Change at the scale of Facebook might have to be gradual, but it is in their interest to start somewhere. This is explored further in Who Should Pay the Piper for Facebook? (& the rest). All of the above partial steps would create a market for data that infomediaries/MIDs could compete in. By introducing reverse metering for the value of attention to ads and release of personal data, we would begin to establish a market value for it. Once that value is established, then we have a clear motivation to look to infomediaries or MIDs -- if they can exchange that value more efficiently. If we already have SaaS services that operate reverse meters for multiple consumer service businesses, such SaaS services could, themselves, expand to add infomediary/MIDs functionality. That provides a natural path for evolving into a multi-sided marketplace for all of the consumers and businesses (service providers and advertisers) that they serve. FairPay is agnostic as to whether that market is directly between businesses and consumers, or includes MIDs. But FairPay explicitly puts the value of attention and data into the overall value proposition. Consumers will be able judge to what degree a business compensates fairly for their attention and data, and decide whether they are satisfied with that. If so, fine -- they can work with them directly. If not, then they will be motivated to use an infomediary or MID. In that way a “coherent market” (or at least a more level one) can come first, and so provide fertile ground for the emergence of MIDs. Platforms would not shrivel in this economy; rather, they would thrive and grow dramatically, although their profit margins would likely fall as more value was returned to data creators. I submit that the economic value of advertising can be increased significantly by being better targeted and better received, and using more productive and appealing formats -- all driven by aligned market incentives. That might well increase platform profit margins, since advertisers will be justified in spending more than they do now. And as Lanier and Weyl hint at, but do not emphasize, even at lower unit margins, more customers can mean higher total profit margin. Those authors have collaborated with others in other important works that explore the transformative potential of the economics of reverse metering. Both are among the coauthors of "Should We Treat Data as Labor? : Moving Beyond Free," which looks more deeply at the economic issues. Weyl is coauthor of the book, Radical Markets: Uprooting Capitalism and Democracy for a Just Society, which includes a chapter on "Data as Labor" in that broader context. One passage: "Rather than feeling like passive consumers of Internet services, user might see themselves as active producers and participants in the creation of value." In this blog, I refer in many places to that central idea, the "co-creation" of value.